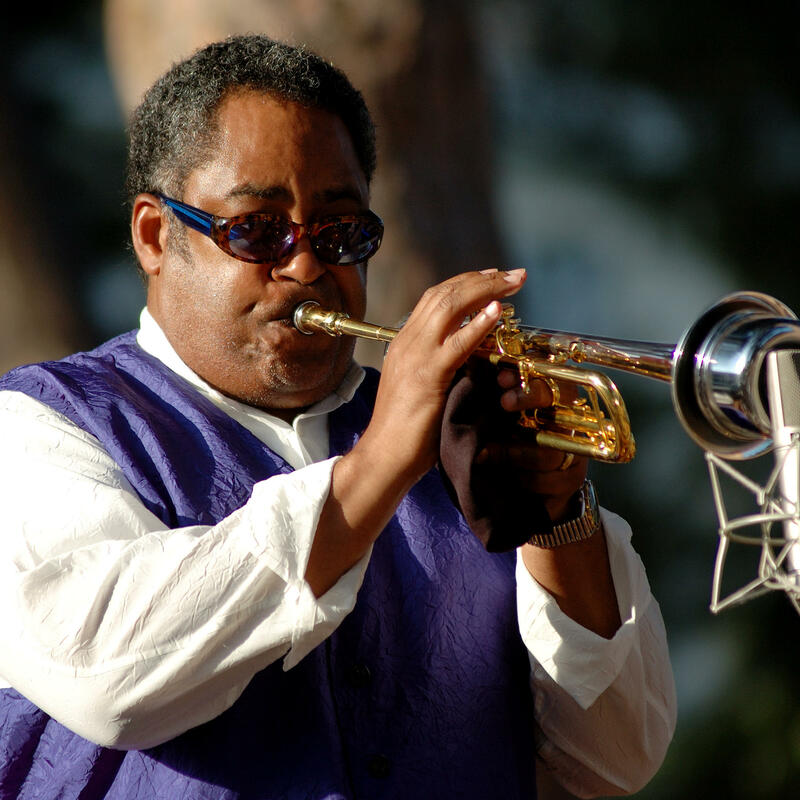 Jon Faddis was born in Oakland, California on July 24, 1953. He is a jazz trumpet player, conductor, composer, and educator, renowned for both his playing and for his expertise in the field of music education. After playing with Charles Mingus in his early twenties, Faddis became a noted studio musician in New York. In the mid-1980s, he left the studios to continue to pursue his solo career, which resulted in albums such as Legacy, Into The Faddisphere and Hornucopia. He became the director and main trumpet soloist of the Dizzy Gillespie 70th Birthday Big Band and Dizzy's United Nation Orchestra. Faddis also led the Dizzy Gillespie Alumni All-Stars and the Dizzy Gillespie Alumni All-Stars Big Band from their inception through 2004, when he was appointed artistic director of the Chicago Jazz Ensemble. Alongside his playing career, Faddis is a noted educator for jazz and the trumpet, as well as a performing artist/clinican for Schilke Trumpets, manufactured in Melrose Park, Illinois. For over a decade, Jon Faddis has taught – and continues to teach – at The Conservatory of Music at Purchase College-SUNY, in Westchester, New York, where he teaches trumpet, classes, and an ensemble.